Astro-Detective Fiction Author Tells All! I'm delighted to present this guest post from the wonderful Joyce Mason, talented author and astrologer and all round good soul. 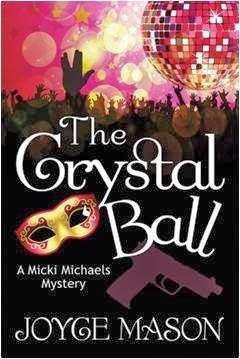 Enjoy her post and I hope it encourages you to read her inspiring and fun new mystery novel, The Crystal Ball. In November 2013, Mandi Lockley was kind enough to mention my new novel, The Crystal Ball, in her info-rich post, Astrology, Fiction and The Doctor(s). Since then, I’ve discovered a couple of other fascinating articles on the topic of astrology and metaphysics in fiction. I’d like to share them with you and what I’ve learned from them. It’s no surprise for a Chironophile (Chiron has been my astrological specialty since I started my practice in 1988): The Crystal Ball is a composite genre like the centaur of mythology after which the planetary body is named. In the official BISAC categories all authors have to choose before publication to help make it easier for readers to find their books, I sorted The Crystal Ball into Mystery and Visionary/Metaphysical Fiction. Astrology is Uranian, and in my opinion, Chironic. In mythology, Chiron is often cited as the first astrologer. This speaks to astrology’s healing potential. I hinted there would be backstory, and there is. Writers are always advised to write what they know. I originally wrote The Crystal Ball, trying to resolve a personal relationship that was a lot at core like Micki’s and Curt’s in the novel. Of course, Micki and Curt developed into their own unique characters. Micki Michaels is an astrologer and head of a longevity organization celebrating its Silver Anniversary at a New Year’s Eve gala called the Crystal Ball. Curt Stern is an ex-FBI agent. He has been in and out of her life, and is clearly her one true love. Now retired, he has joined her in San Francisco to see if they can, finally, make it work. A threatening extortionist gives them an opportunity to combine their hot chemistry into a crime-busting Odd Couple, as they have to protect their loved ones and everyone at the Crystal Ball from a potential kidnapping—and possibly worse. Micki and Curt have a strong magnetism that is the definition of Plutonian. Through them, I attempt to tackle the age-old dilemma: Opposites attract but can they live together? With creativity and Micki’s obvious facility with the Chiron archetype, we see the beginnings of a composite relationship that tests itself in an emergency. If they succeed, they’ll save the day. Micki’s other Chironic characteristics are numerous. A few of examples of her ease with blending old and new, reflecting Chiron’s orbit between Saturn and Uranus—a Chironic trademark: she lives in a Victorian house, built in 1900, dotted with both antiques and futuristic gismos like a custom-designed, talking clock and a robo-maid. Chiron is also the “patron saint” of her longevity organization, the Immortalists on Planet Earth Association or IOPEA (pronounced eye-OH-pea-uh). I wasn’t focused on the idea that my book could help me be an ambassador for astrology until it was nearly in print. While confessing that I don’t have a single planet in Aries but several in Libra, publishing this book has taught me how sometimes, you have to just do it—get it out there and be an Aries pioneer. Knowing what you’re doing will follow, at least the part you couldn’t figure out because it was subconscious. Once it gets from your inside to the outside, it’s clearer to you, and others can respond for even more enlightenment (the Libra part). One of the most important things Armand Diaz points out in his article, reacting to mine and several other Astro-detective novels, is that mystery readers are used to being walked through highly technical topics and learning through the author the essentials for understanding the story. The love of mystery makes the reader willing to learn. What an opportunity for astrologers to teach astrology! Since many Astro-civilians are to astrology what Muggles are to magic in the Harry Potter books, I can’t help but want to urge members of the astrological community to both support this developing genre and other types of Astro-fiction. And if you write, consider weaving astrology into your works. I struggled for years with feedback from the traditional literary community that fiction featuring an astrologer would appeal only to a narrow audience. It took putting it out there, and Armand’s point about mystery being a traditional “teaching institution,” for me to see that the slogan from the movie Field of Dreams, slightly modified, applies here: If you write it, they will come. In another article I read recently, PJ ­Swanwick says We Need to Promote Spiritual/Visionary Fiction, another evolving genre. Imagine: healing through the pleasure of reading. The Crystal Ball promotes more than astrology. It’s a mixed bag of practical metaphysics with themes of longevity, health, and the Chironic quest for wholeness—in addition to the relationship issues so central to it. It’s time for all of us to start voting with our book purchases—add TV and films—to create the kind of healing through the arts that Chiron in Pisces is all about. Join the Literary Evolution! © 2014 by Joyce Mason. All rights reserved. 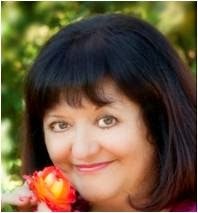 Joyce Mason is a writer and astrologer. Her trademark is blending humor with deep insights. Her popular blog is called The Radical Virgo. She’s past president of NCGR-Sacramento Area Astrologers. To learn more about her leap into fiction and all her books and purchase links, visit her website: www.joycemason.com.